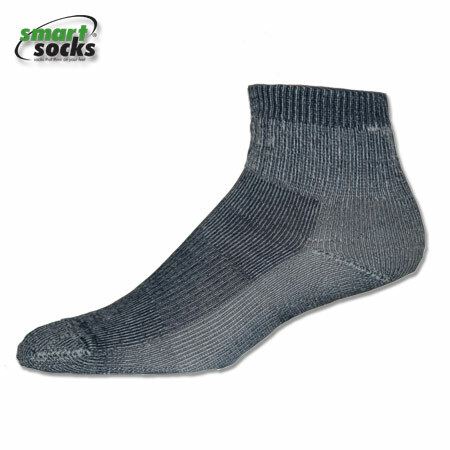 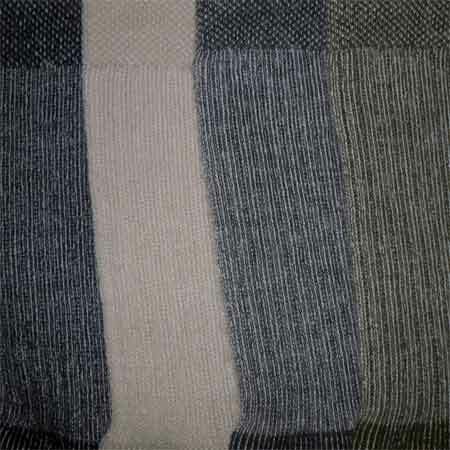 The Smart Hiking Fine Wool Mid Weight Quarter II is an excellent sock for a broad range of hiking, camping and backpacking conditions. 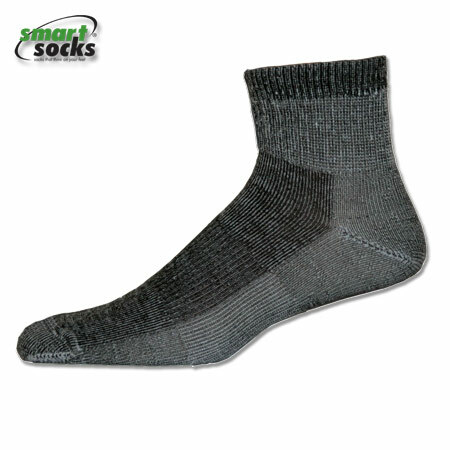 This hiking quarter sock’s 35% wool content provides excellent wicking – ensuring that your feet stay dry and comfortable on the trail. The Merino Mid Weight Quarter II by Smart Socks – Socks That Think on Your Feet® is great mid-weight, quarter length hike sock for both men and women.